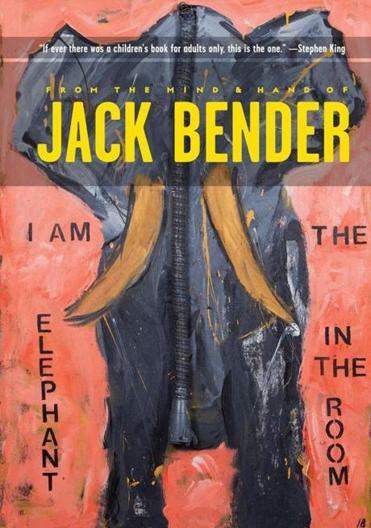 "I Am the Elephant in the Room"
Jack Bender, director of TV shows such as “Lost” and “The Sopranos,” thinks of himself as a visual storyteller more than anything else. You’ll understand why when you see “The Elephant in the Room” (Inkshares), his new picture book for adults. His in-your-face illustrations command attention. A gallery full of them would make quite a show. My favorites of the five stories in the book are “My Wife Was Killed by an Alligator” and “The Urban Acrobats” about two street kids who defy gravity and live upside down. Throughout, Bender offers a potent mix of life’s dark realities and the human drive to overcome.